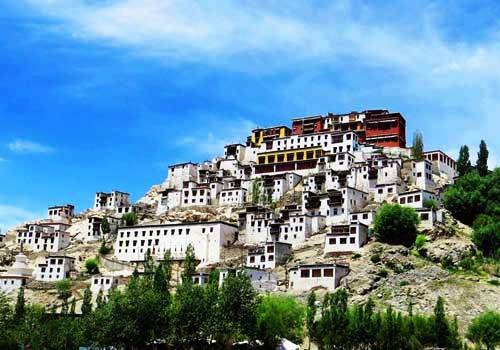 Visit Monasteries/Gompas of Leh & Ladakh. Enjoy Jeep Safari at Nubra Valley. Shopping in the Leh markets. 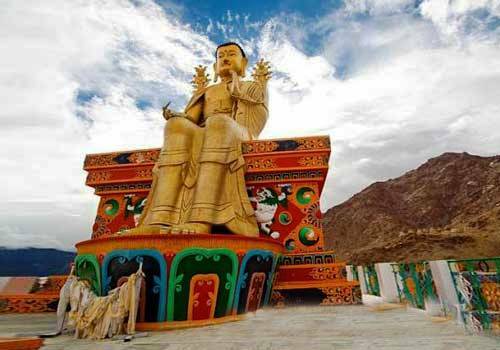 Enjoy Delicious Cuisines of Ladakh. 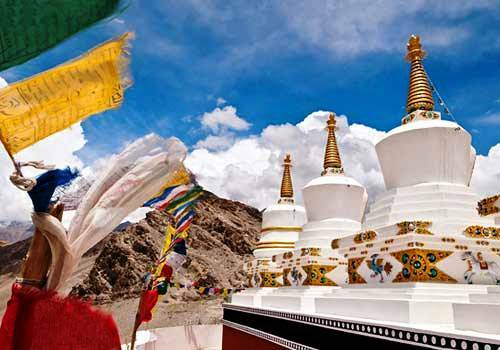 Take on a Jeep Safari to Ladakh for 9 days to enjoy till your heart’s content. 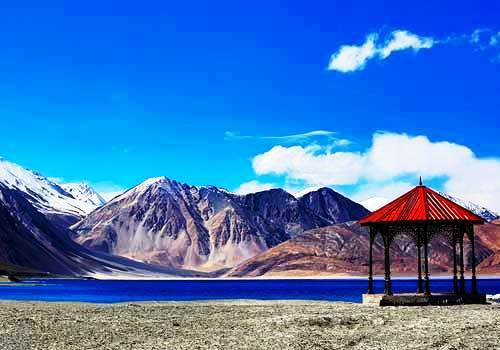 Your Ladakh Jeep Safari will take you through the amazing and unbelievable destinations such as Hunder, cross the highest motorable road in the world KHARDUNG-LA, get the glimpses of beautiful Nubra Valley and explore the villages like Tegger village, Samstanling village. The jeep safari will include a visit to village thermal Hot Springs, which is known for its therapeutic qualities. 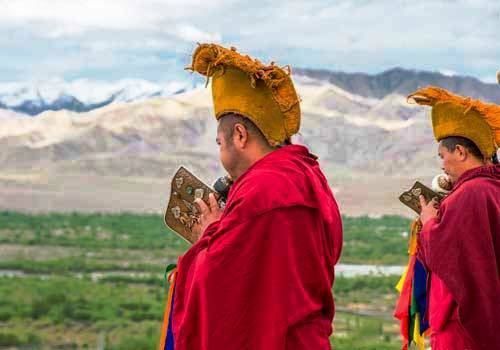 Enjoy staying in the camps and the folk dances of Ladakh. This specifically tailored Safari Tour will cater your travel requirements. We provide you ample scope to get the customized form of this tour. Met upon arrival at the Leh airport and transfer to hotel. Day free at rest for high altitude acclamatisation. 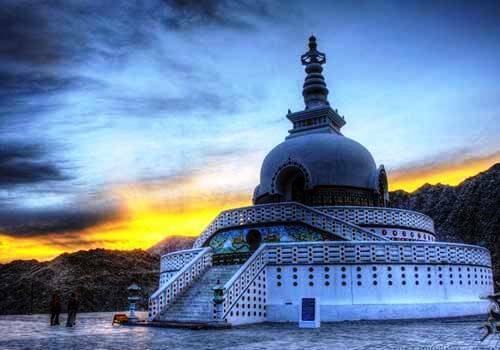 Morning proceed to visit the most important monasteries of central Ladakh along river Indus. 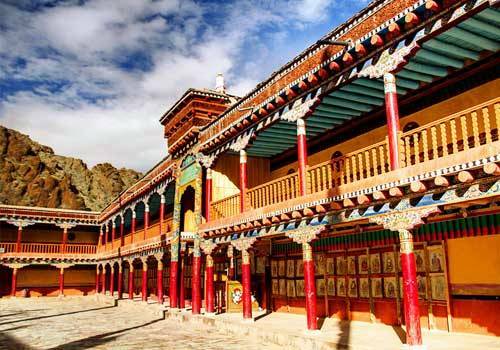 VISIT: SHEY GOMPA (It was the ancient capital of Ladakh. The monastery has a huge copper gilted image of Sakayamuni Buddha and a large silver lamp burning infront of the statue), THIKSAY GOMPA (one of the most pictresquely lacted Gompa, the monastery is actually a complex of buildings on a crag rising in tier upon tier above the village. Morning drive to Tegger village (3,146 mt). 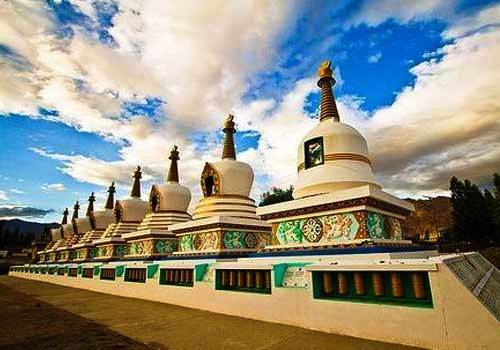 Upon arrival visit Samstanling village off the main road and is one of the most charming villages of Nubra. 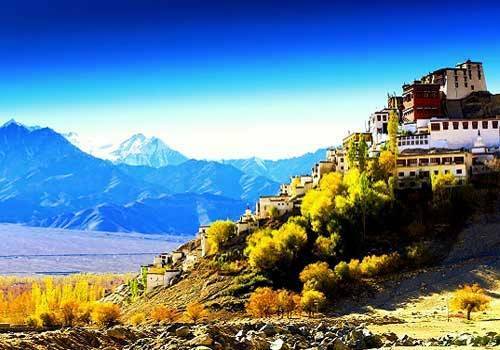 Visit Samstanling Gompa. Afternoon start Safari to reach Pinchimic. Morning start the last leg of Safari to Panamic. Enroute visit a beautiful lake chucked between two small hills. Checkin at the camps upon arrival. Afternoon explore PANAMIC VILLAGE: During the trade between Central Asia and Ladakh, Panamic was the lastmajor settlement before the caravans cross the Karakoram range. Today, Panamic is a sleepy village, with its people quitly working in their fields. Visit the village thermal HOT SPRINGS locally reputed to have therapeutic qualities. Overnight in tents. Morning visit to ENSA GOMPA across the river clinging precariously to the mountain sorrounded by few trees. Return back and drive to Leh. Upon arrival in the evening checkin at the hotel. Overnight stay at hotel.